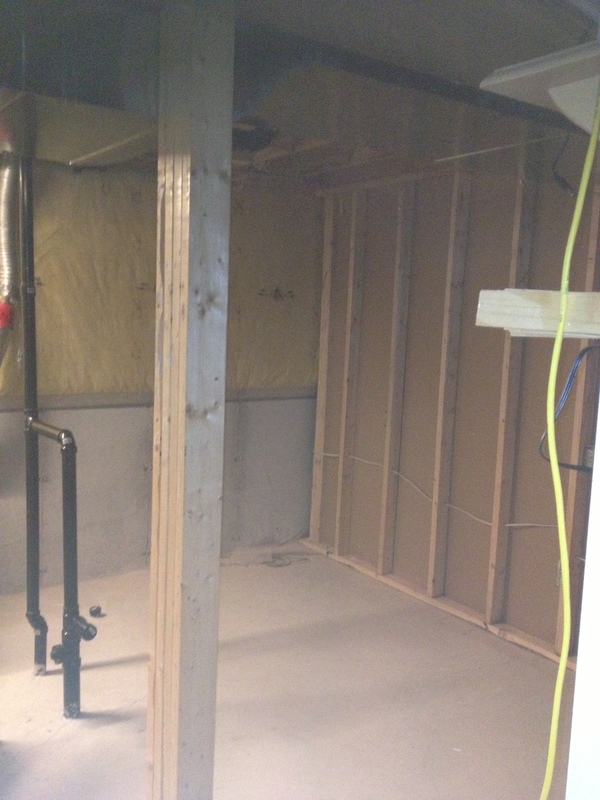 Many newer homes have unfinished basements. 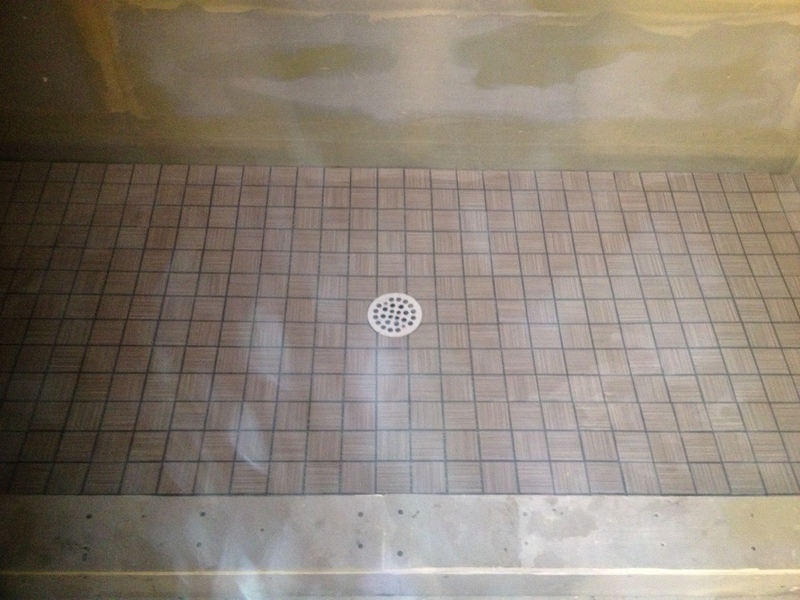 The plumbing has been roughed in so you know that someone anticipated a basement bath but now you need to go ahead and complete it. 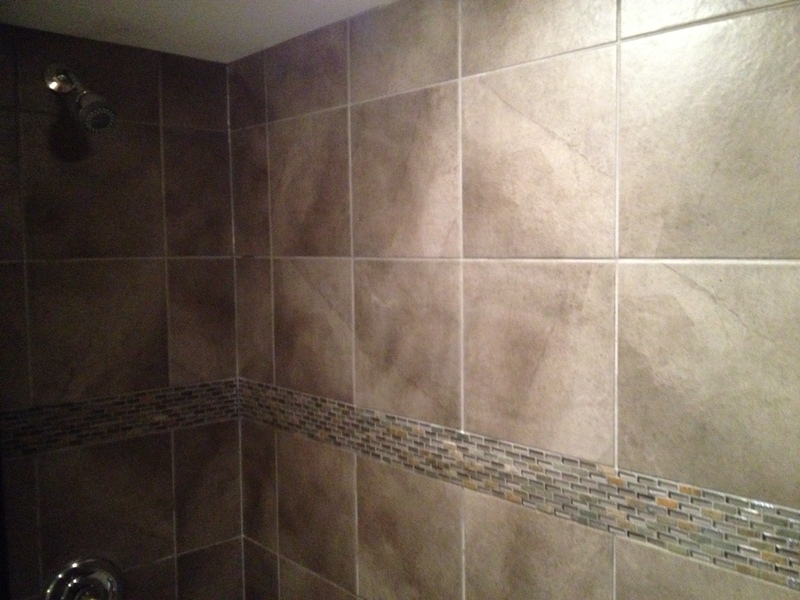 This project on Maidstone will turn an empty space into a luxurious 3-piece bathroom. 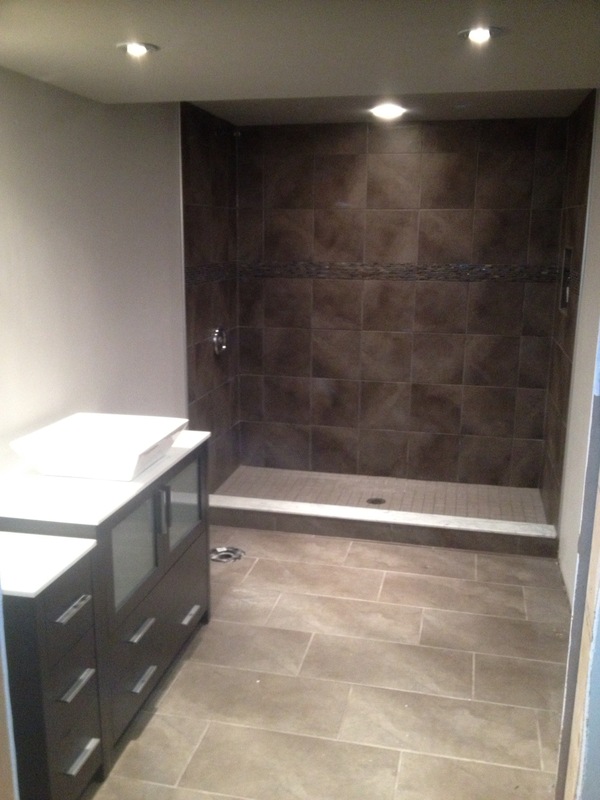 Custom glass, custom shower, heated floors. 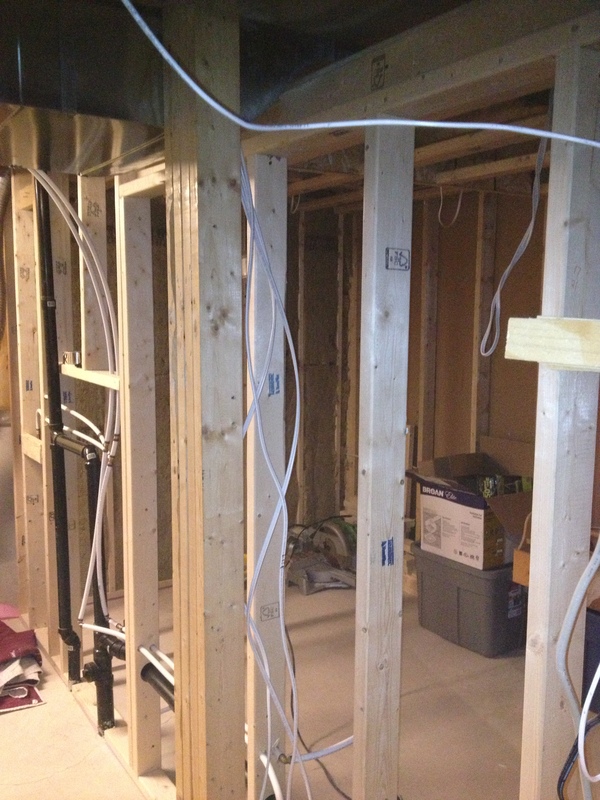 Transforming this area requires first the framing. Even though this is a newer home, many building codes have already been updated: such as increased insulation, heating requirements, and air movement. 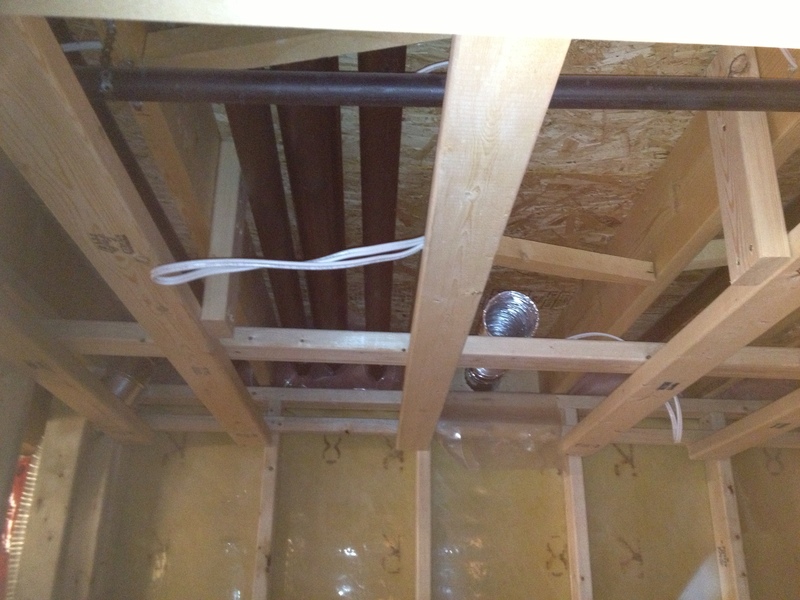 Like many new homes…an empty basement with the roughed in plumbing. 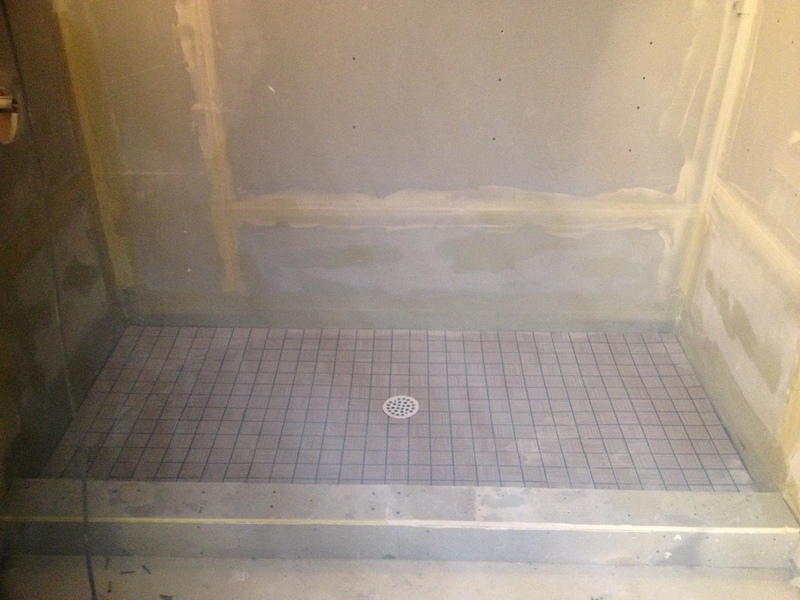 And while it looks empty…we still have to build the shell to avoid all the pipes, wires, and ducts that are prevalent in a basement. 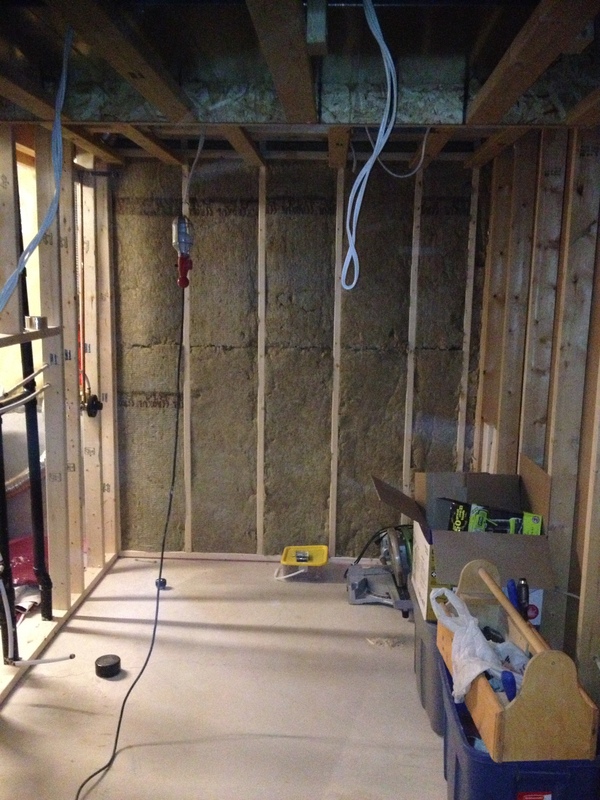 And there we go…doorway cut into existing wall. We can get in now! 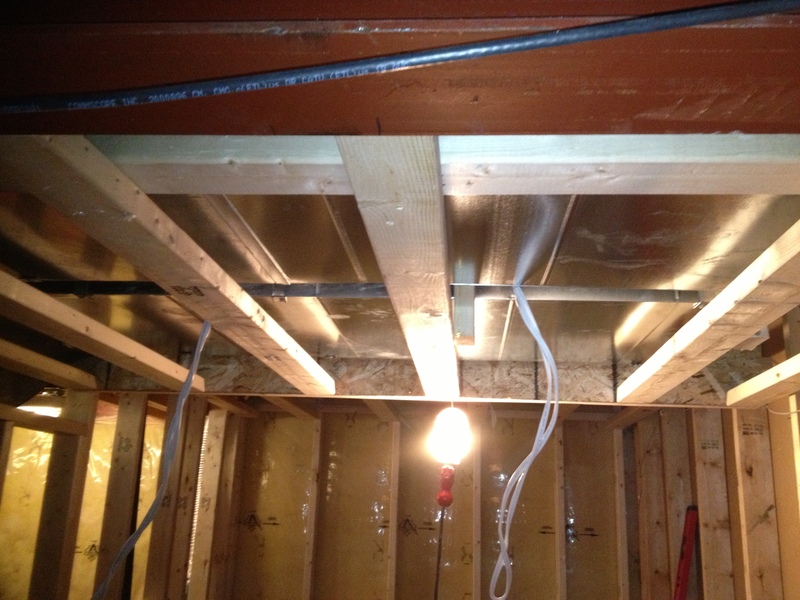 And sometimes, even though it was roughed in and passed inspection only 8 years ago, the code is upgraded. 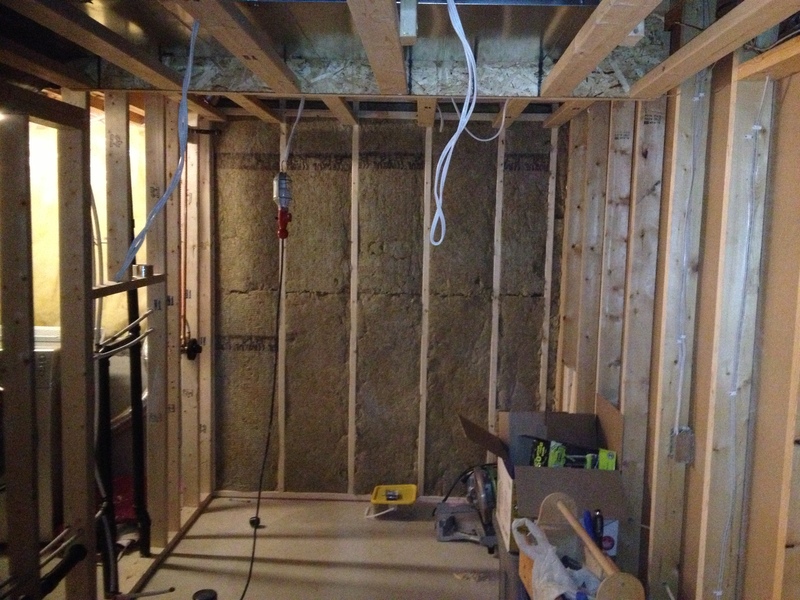 In this case, another wall had to be built over the existing foundation so we can add sufficient insulation. 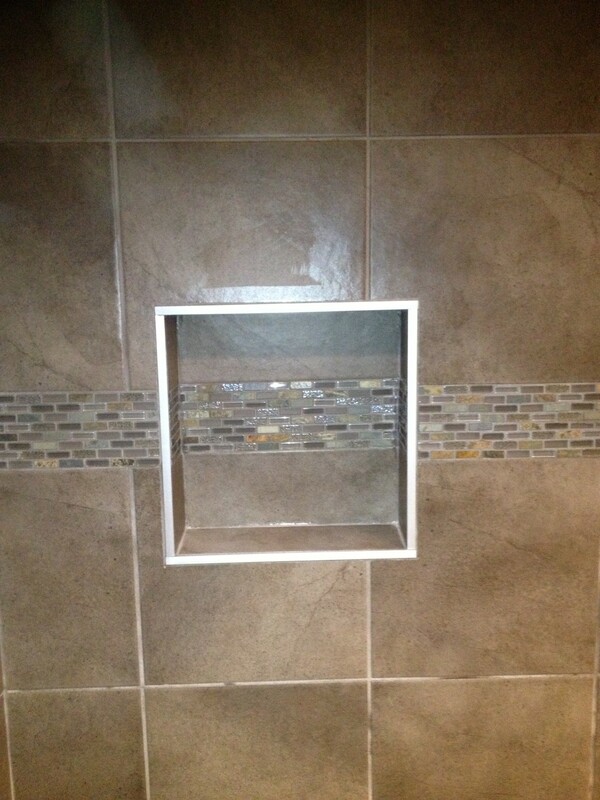 The wall was framed…but there was no door! 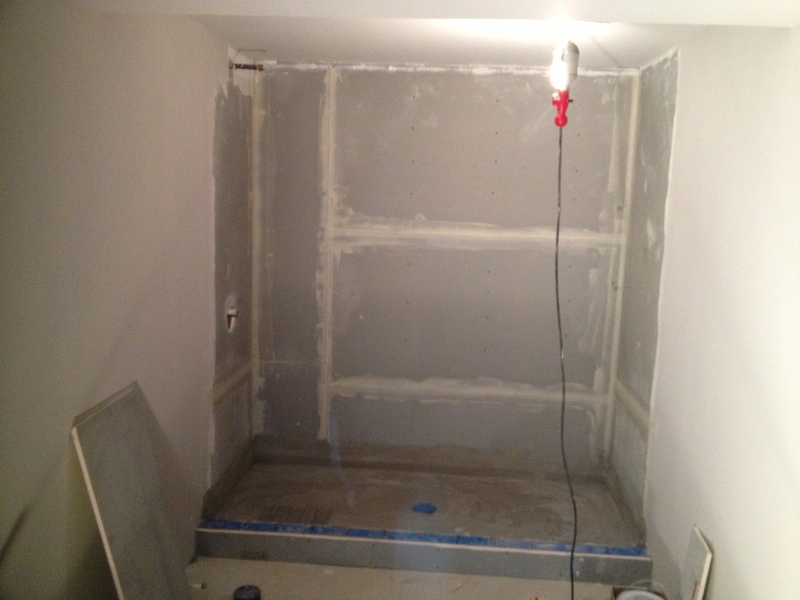 The room is boarded…and the custom shower is poured. 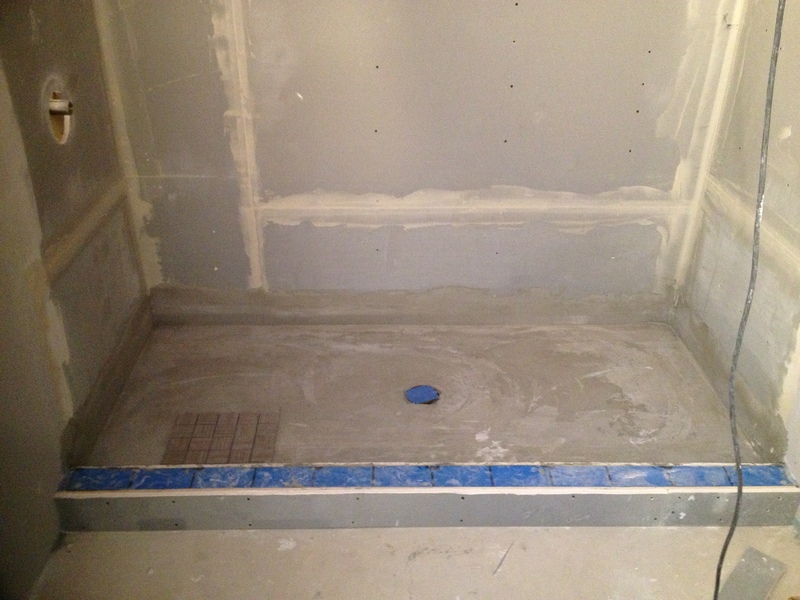 Shower surround is completed and floor is packed with new cement for a completely level surface. 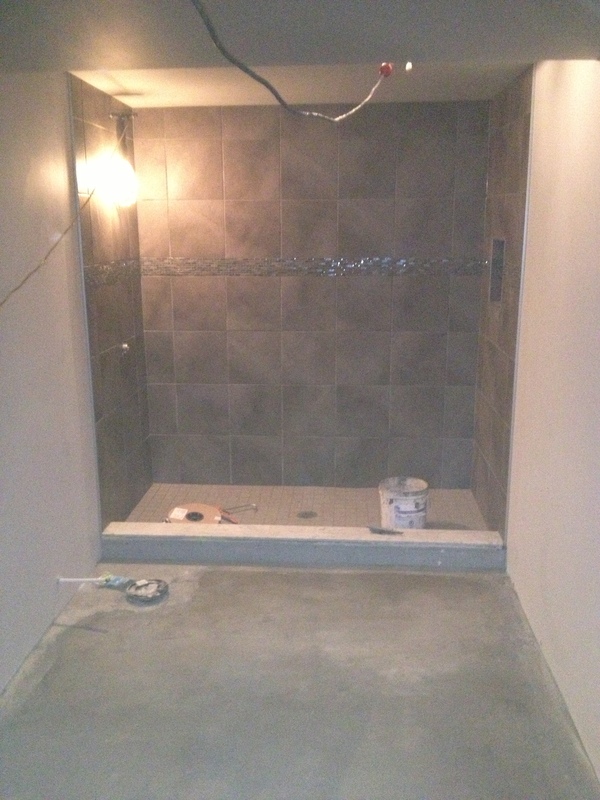 Electrical finished…floor finished…and vanity put in place. Getting closer! 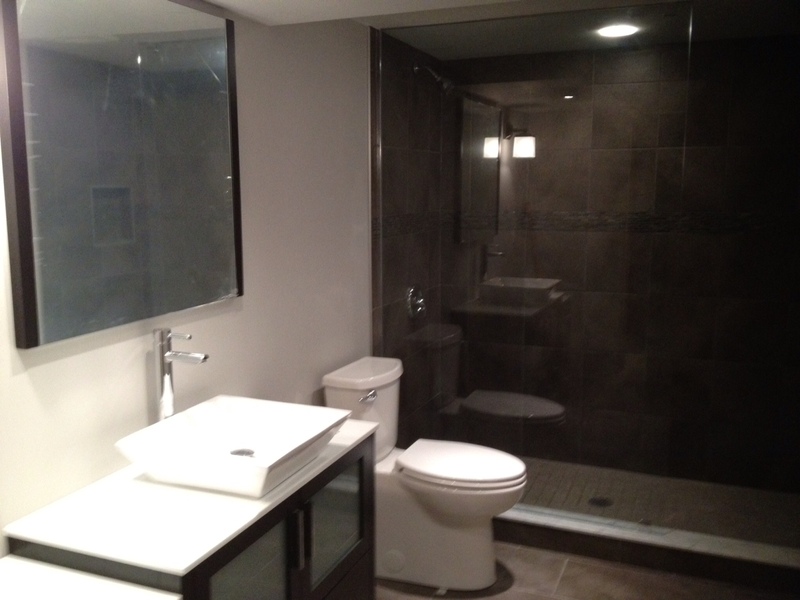 Custom Glass, toilet, and fixtures installed…almost complete.